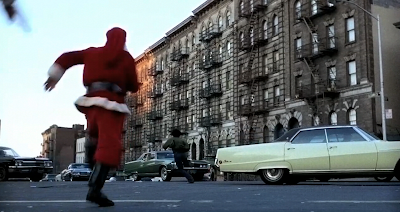 Just noticed the pair of shiny Buick Electras in this chase scene — featuring Gene Hackman as a very unsavory Santa — from The French Connection. Gordo -- did you pick your feet in Poughkeepsie? Hard to believe that gene Hackman was the original pick for the dad on the Brady Bunch. My best friend got an Electra 225 Wildcat for graduation. It broke a LOT of muscle car folks' hearts. The look on their faces as that huge cruiser powered past them a half mile out is forever etched in my mind. Good times. 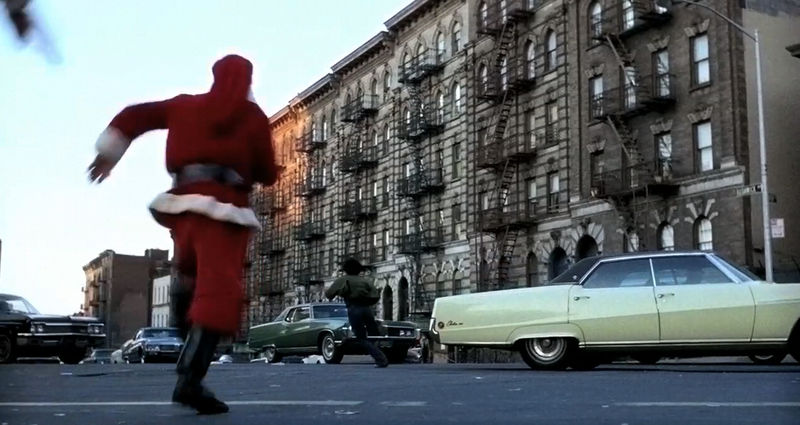 Still one of the great films of its era. There are actually three Buick's in a row. Plus a 66 Chevy similar to my own at the left.